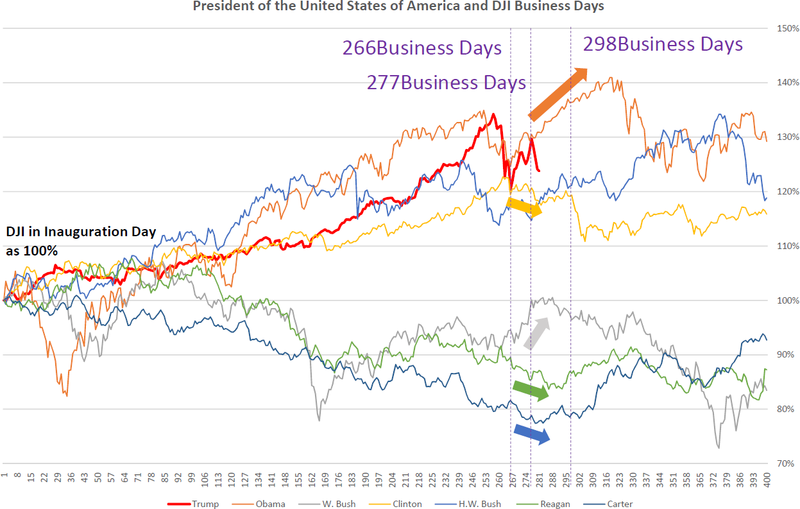 Dow Jones Industrial Average (^DJI) Daily; Following past U.S. President again, “HENKABI” is 3/28/2018. We reported “Dow Jones Industrial Average (^DJI) Daily; Following past U.S. President, “HENKABI” are 2/8/2018 and 2/26/2018” in 2/6/2018. The price movement is similar to the past president. 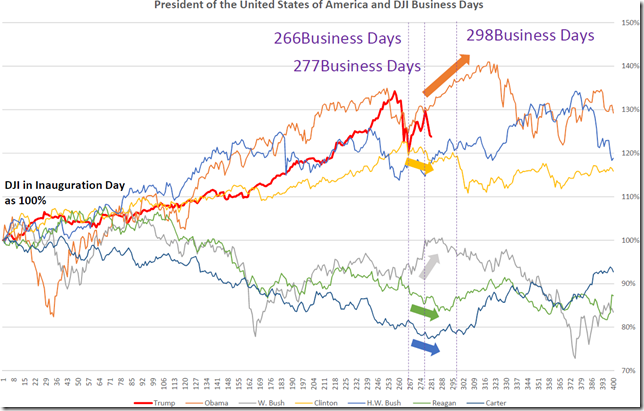 Bear market seems to start from 277 business days. Following the price movement more, 3/28/2018 (298business days) will be “HENKABI”. In any way, we need to fasten our seatbelt.